Nimble Handling of Heavier Loads. With our experience in this industry, it takes something truly special to get the Acculift team excited and really fired up. Gorbel’s new Easy Arm 660 is the next generation of product that does exactly that. And here’s what we love about this innovative new solution from Gorbel. 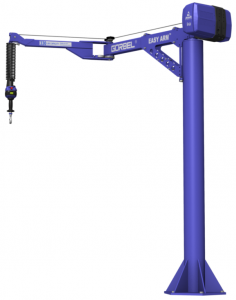 The Easy Arm 660 is a freestanding, plug and play, lifting solution that incorporates the G-Force Intelligent Lifting Device with the body of an articulating jib crane. 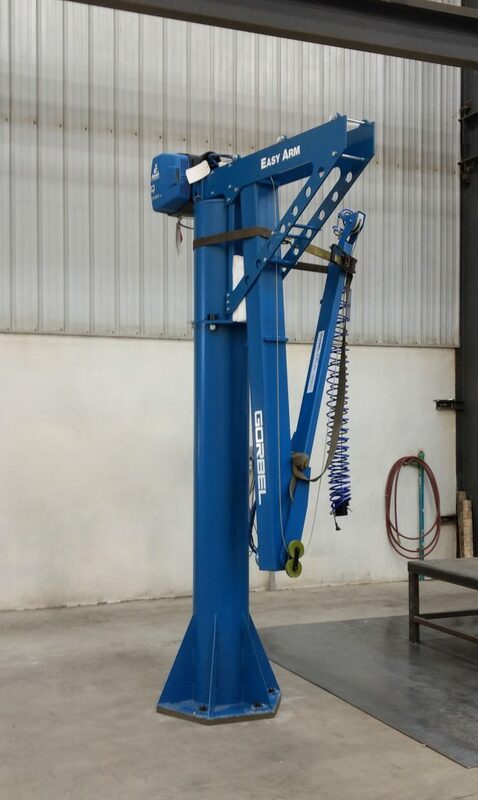 Together they offer unprecedented responsiveness and flexibility to the operator while allowing unparalleled speed and precision in heavy lifting applications. Up to 660 lbs! With spans up to 14 feet, the Easy Arm 660’s nimble and easy to move articulated arm covers a large area and provides superior ergonomics to the operator. In addition to pinpoint precision, the unit can reach lifting speeds of up to 45 feet per minute (ideal for high production environments). 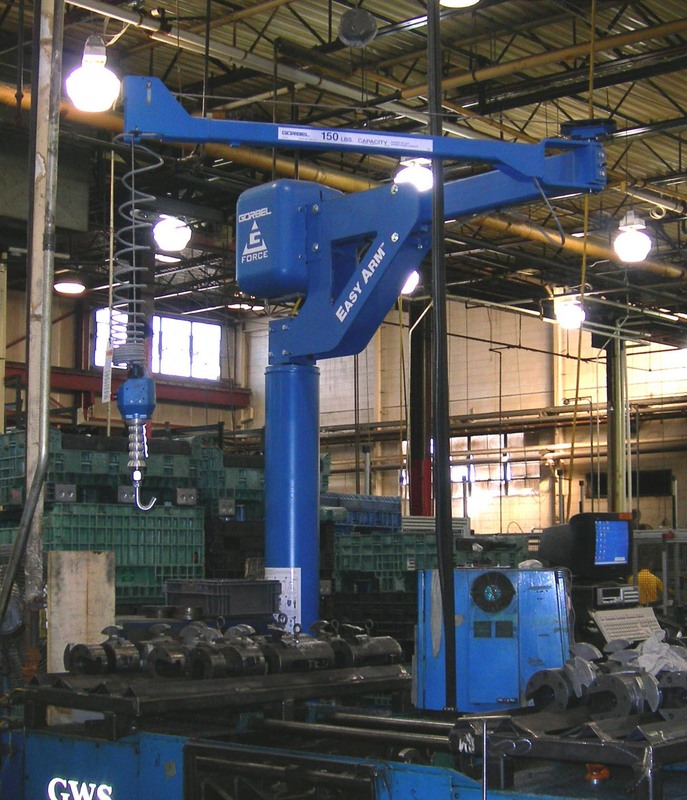 The biggest benefit is the ability to precisely handle heavier loads with an articulating jib crane for a great range of motion but another benefit to this crane is programmable loads. If your heavy lifting has different weight loads you can match the device lift to the load weight at the touch of a button. Here is one example where two different engines come down the same production line but use the same crane solution for both. The Easy Arm 660 makes that possible that resulted in no lost time at the material handling stage. Just installed and almost ready for use. Up to 660lb capacity for a wider, heavier, variety of lifting applications. Watch the Easy Arm 660 in action with this video from Gorbel. And here’s the 660 in action in a real work situation.